@visafreeghana R > r & r =REVENUES ARE GREATER THAN reciprocation AND retaliation BUT THE GREATEST OF ALL IS R for RETWEET! Well there’s another ‘R’ word in the Scrap Short Term Tourist visa dynamic. It’s ‘R’ for resentment. 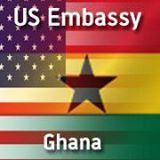 Alexis Kwame Amey On the 9th sept, yankee had bounced me serously, and i became uncle sam public no1 enemy. So on that faithdul day, tireman was on his bed day dreaming and licking his wound when the breaking news set in. I was like : u people wont give genuine people visa, now that they are burning ur skyscrappers u want my sympathy. Alexis Kwame Amey Mr. Scott; i think the question is not just abt one’s physical presence; the individual mental state also count i guess. Christopher Scott ya, we are all entitled to our mental states and when we publicize them we are all entitled to comment. I was commenting on your mental state, not you being in bed licking your wounds…. Sometimes I should just let things pass…sorryo…not on this one, this one hit an exposed nerve…yes, what was written was callous…but further, I think too many people here are biased against scrapping short-term tourist visas to Ghana because of their failure to get a visa to travel outside or they might have had a terrible experience getting one. So the subject of no tourist visa to Ghana is a non-starter, dismissed…In this respect I refer to the Ghana Hotels Association’s assurance right at the beginning in May that they would be “on board on this one” and have been mute on the issue since. And TOUGHA’s new president Anan, not even a reply to emails…TOUGHA stands for TOUR OPERATORS’ UNION GHANA. Look at Alexis Kwame Amey, it’s like it happened yesterday…yes, the scrap battle will be a long hard uphill climb and I’m thinking politicians won’t touch the issue with the proverbial ten foot pole in fear of losing their good-standing in the court of public opinion.